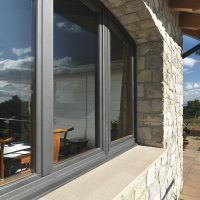 In Fusteria Ollé we have always found important to obtain the highest quality in our windows because it is the weakest joint between the inside and the outside. 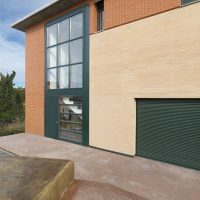 We always offer maximum insulation, sealing and safety. 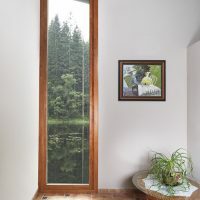 – Wood window: for lovers of the natural beauty of the wood as an important part of the house, both on the inside and outside. 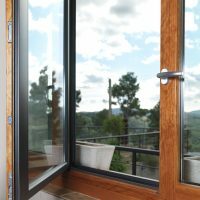 On the outside we apply a high quality treatment with water-based varnish for outdoor use, which allows a very durable maintenance. 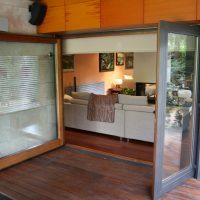 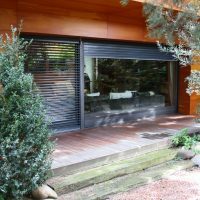 – Wooden-aluminium window: We offer this solution for those wood lovers who do not want any outside maintenance. 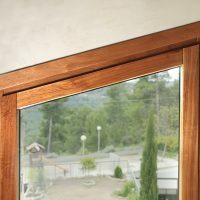 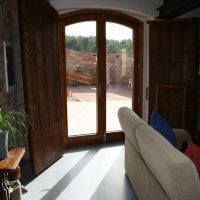 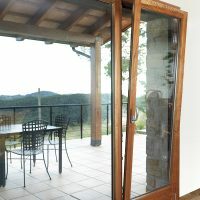 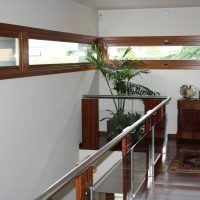 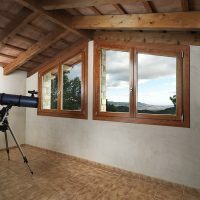 It is the same wooden window with an outer coating of aluminium. 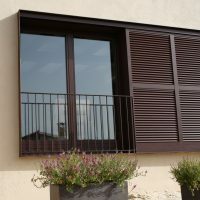 – Wooden-bronze window: for those looking for different things, but with an exterior finish of a noble and classic material, the bronze.